If you're tired of pulling your hair out trying to figure out why your pump is leaking, HISCO has the solution. With a type of packing for every application, we can determine why your pump is leaking, and what the proper packing or solutions is to fix it...for good. Mechanical Seals can be tricky, but with our mechanical seal experts we can select the seal that is appropriate for your application. Our price for a brand new seal is usually less than the repair hit from other seal manufacturers. We have seals to fit almost any size pump. You will never have to alter your pump to fit the seal, we will create the correct seal to fit your pump. HISCO can assist your facility with pump system troubleshooting and new pump specifications. We also do training seminars for several pump aspects, including Packing & Seal Training and Pump Reliability Training. 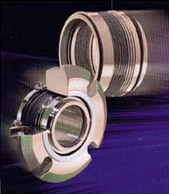 Sealing Equipment Products, Co., Inc. Braided Packing, Die-Formed Packing Rings, Flexible Graphite, Mechanical Seals, Gasket Material, Fiberglass Products, Pyrosleeve, Soot-Blower Packing and Fly-Ash Gaskets. For more information visit www.sepcousa.com. US Seal Manufacturing U.S. Seal Mfg. is one of the leading suppliers of mechanical pump seals in the United States. For nearly 50 years, they have provided quality products through a network of distinguished nationwide distributors. For more information visit www.ussealmfg.com.